Eyes are red which is typical for me during detox too. I'm really not tired again at all. But going to bed soon. I went to bed at midnight, and didn't really sleep until 2am, although I may have dozed off for a little bit. At 2am I put some angelica essential oil on my forehead and temples, which seemed to have put me to sleep once again. It is a powerful oil. 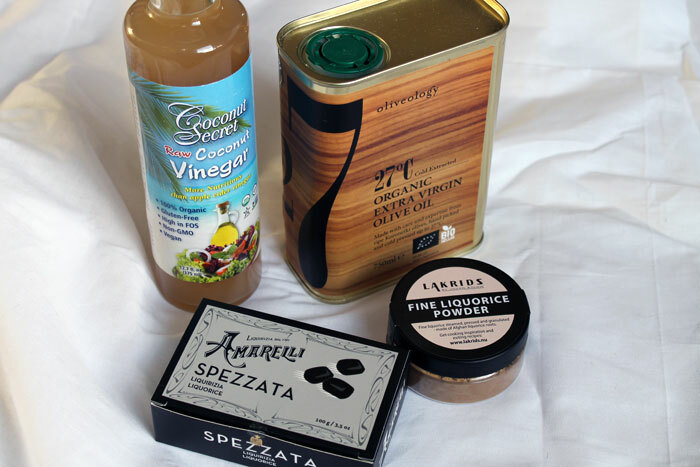 Products ordered online: raw olive oil, raw coconut vinegar and two types of 100% licorice root products, which are heat-treated. I had some pain in the right side of my chest for a little while: a place where I normally never have pain. Also yesterday I had this for only about 30 seconds. While lying in bed for two hours I was getting really nice feelings in my body - my muscles felt very relaxed and I had a kind of soft feeling everywhere. It is very difficult to explain, I haven't felt that ever before and I'm sure it's because I have been eating clean. I just felt very good overall, and almost like this soft energy was enveloping me. Not any kind of extreme state, just a nice feeling, but not very subtle either. Though I do suspect I would not have felt it had I not been lying down and un-distracted. My mind also felt good and quite balanced, I had some nice thoughts. Benefits: For those that the diet works, the best benefits seem to be amazing health, easily managed weight, no bloatedness, very youthful looks, happy mind, more energy and feeling more spiritual, more clever, and more happy. Potential downsides: Many people don't seem to be able to stop excessive weight-loss, deficiencies are possible, it may be necessary to have a strong digestive system to break down raw foods, some people experience stress from too limited eating habits, not being able to share meals with many people, not being able to eat many traditional foods when travelling, more sensitivity to chemicals (and e.g. emergency room drugs), the body may reject toxins and certain food items more than after becoming raw, the high vibrations of raw foods may be in discord with the lower vibrations of normal daily life, work, and other people - and this may cause friction; some people also report more moodiness and anger on raw foods. Benefits: Eating high amounts of raw, organic and wholefoods - which will improve health and looks; more variety than in the raw food diet; meat holds hunger longer than fruit or vegetables; some nutrients in meat may be necessary for some people to be healthy; cooked vegetables may be easier to digest for some; Chinese Medicine recommends cooked vegetables due to too much Yin energy in raw foods; social benefits; meat can possibly be a 'grounding' food and reduce anxiety. Potential downsides: Cooked foods in themselves may be addictive and may throw the body and taste buds out of balance - and the same might be true of meat; the consumption of meat has been linked to many diseases (though it could be when inferior quality meat or too much of it was eaten); meat is very resource-intensive to produce in the world (pollution, water-shortages, cutting down of rainforests); may cause constipation; may be too slow to digest and putrefy in the intestines; may lower energy vibrations. Note that in this analysis I am assuming that either organic meat was eaten which was grown with love and care and killed humanely, or that wild-hunted meat was eaten. I will update these thoughts when I learn more from my own experience. Woke up at 9.30am, quite tired again. I only really slept after 2am so I got 7.5 hours of sleep at non-optimal times - the most rejuvenating sleep time is in the early hours of the night, maybe from 9pm or 10pm onwards. There is something strange going on with my energy levels. I think this is ever since I started to take the B12 vitamin spray (methylcobalamin). I feel tired in the mornings (or tempted to sleep very late) and I completely wake up in the evening, feeling not tired at all. The B12 vitamin first seemed to give me clear energy but I have been taking quite high doses - sometimes 3,000mcg per day in two doses - and it may be too much. Searching online I find a few interesting reports, possibly relevant. 1) B12 can reduce melatonin production in the body. If you do an internet search for 'melatonin levels through the day', you get a chart showing that melatonin is meant to start rising around 8pm, which slowly starts to make you more sleepy. This is around the time that my energy levels start rising, so perhaps I am missing melatonin. I don't really want to supplement with it though because it's a hormone and can have side effects. 2) I may be overmethylated. This sounds like a complex topic and I won't write about it here but leave it as just a note. As a result, I am going to leave out the B12, iron and C-vitamin supplements for a few days, and see if I sleep better. I'm not sure if these sleep problems started with B12 or with high-dose of C-vitamin - it seems like it could have been either or both. Hopefully this solves the sleeping problem, I can then try to bring these supplements in carefully one by one in lower doses and taken early in the morning only. In any case, I woke up feeling not well rested, although I don't recall waking up at night. The phlegm problem is getting less but still there. I cough a little occasionally. I also woke up very hungry. At about 10am I did a few muscle and body-weight exercises, and a few simple stretches. Some exercises felt quite a bit harder than usual, and one felt a lot easier (pull-ups). I don't have those nice 'soft' feelings in my body like I had last night anymore - it seems like they come and go. Although generally I feel well on this raw food challenge, just tired.